CFY arrived in Beijing 190122. I think CFY flying back to school. 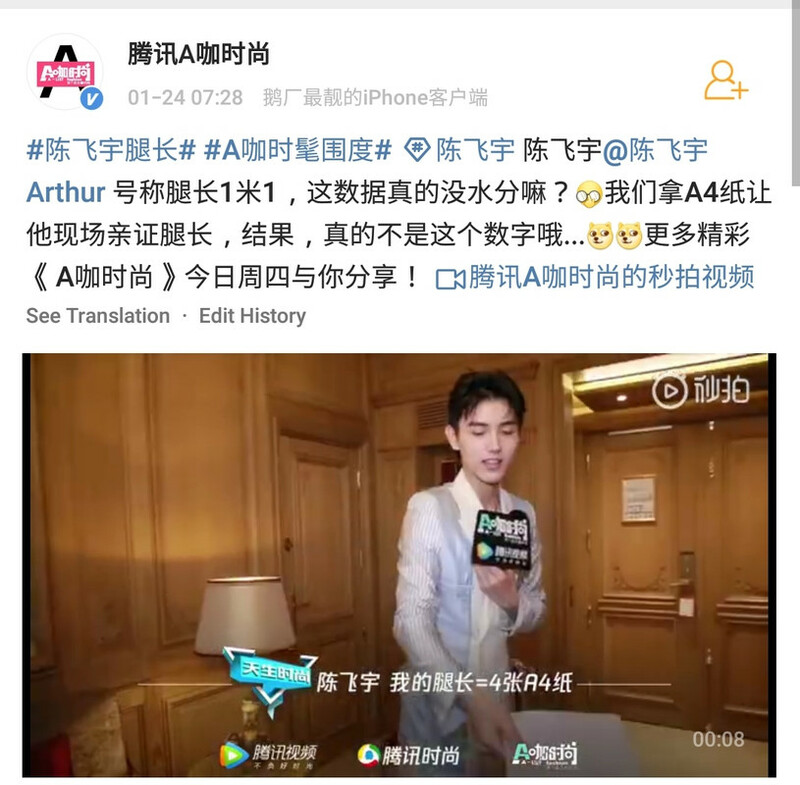 Good luck and study hard Arthur! Short video of shy Arthur. @epinklyn Judging from the scarf he's wearing.. Yeah, I think he's going back to school now..
@epinklyn Its Ok.... haha.. he's heading back to US right? Hmm i think his home at Hang Zhou, CMIIW. Ah finally i got it, so CFY flight from Yi Wu (YIW) to Beijing (PEK), dont understand really hahaha, so his home is at Beijing then not Hang Zhou, or he is visiting his family from Dad or Mom side like grandfather/grandmother. Too many pictures so i will split into two posts. Video in convinient store, i wonder how many drinks did he buy and for who? CFY leg's length is the same as 4 A4 paper . Cr to Tencent A Fashion. More stills from the airport. Credit to FAIRYISLAND_Arthur on Weibo. I think after he got fame from Secret Fruit movie and he became Dior's China Brand Ambassador, he got a lot of endorsement of clothes and shoes, he wasnt this airport-fashion before, just wearing tshirt only or simple jacket. Hahahaha yeah almost 1.2m for his leg only. Full version of interview with A Fashion, include the leg length one. Cr. As tagged.